Li Wenzu is a rights activist and wife of “quintessential rights lawyer” Wang Quanzhang (王全璋), the only rights lawyer detained in the 2015 “709” or “Black Friday” crackdown still believed to be in detention as of April 2018. To mark the 1,000th day since her husband’s disappearance, Li embarked on a 60-mile walk from Beijing to Tianjin, where Wang was believed to be detained, to seek information about her husband’s situation. Along her walk, Li was stopped by authorities and returned to Beijing, where she was briefly confined to her home by security agents. Beginning on Friday, July 9, 2015, hundreds of rights lawyers and activists were detained and interrogated across China amid a broader long-running crackdown on civil society by the Xi Jinping administration. The roundup came to be known as the “709” or “Black Friday” crackdown. Wang Quanzhang, a lawyer with the Fengrui Law Firm known for taking on sensitive torture cases, was detained in August while in hiding following the initial detentions. On August 10, his lawyer Li Zhongwei (李仲伟) confirmed that he had been placed under criminal detention on suspicion of “picking quarrels and provoking trouble” and “inciting subversion of state power”—catch-all charges commonly used in the persecution of activists in China. 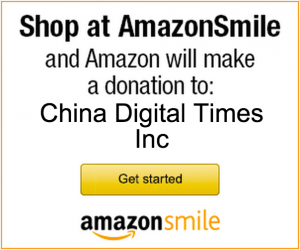 Along with many other relatives of Black Friday detainees, Li formed an alliance of campaigners working on behalf of the “Black Friday” detainees and other political prisoners in China. In August of 2016, Li took part in protests outside of Tianjin No. 2 Intermediate People’s Court amid concerns that detainees were being secretly tried. In May of 2017, Li was one of several wives to testify to a congressional committee in Washington D.C., urging the Trump administration to press Beijing to free remaining detainees and end the systematic use of torture in custody. Following dozens of releases, trials, and sentencings—including some for lawyers who had attempted to represent the initial detainees—Li’s husband Wang remained the only lawyer still believed to be in detention, having been held incommunicado for over 1,000 days. 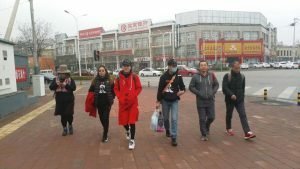 Li began a protest march to Tianjinon April 5, 2018. 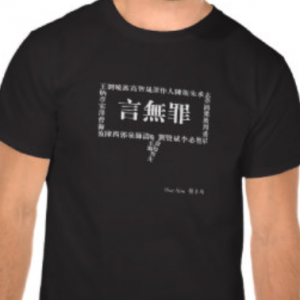 Wearing a jacket lettered with the slogan “seized for 1,000 days,” a cap decorated with text from a letter Wang had written about his “calling” to be a rights lawyer, and a “Free Quanzhang” sweatshirt, Li was joined by several other activists on her walk. On April 10, Li was intercepted by plainclothes police, returned to her home in Beijing, and placed under virtual house arrest by security officials. Li’s situation briefly recalled that of Liu Xia, wife of deceased Nobel Peace Prize laureate Liu Xiaobo. Liu Xia has similarly faced years of house arrest and harassment beginning when her detained husband was awarded the Nobel Peace Prize in 2010. […] I am under siege in my house, surrounded by 40-50 people. Friends who came to see me were blocked from coming in. I could only shout through the windows to talk to them.Wang Quanzhang has been disappeared for 1,006 days, and I’ve been under house arrest for two days. They even blocked our caretaker and our son from leaving the house, and said: if you come out, we’ll kill you. It was only after I called the police that the guards allowed them to leave the house. But a gang of Aunties hurled insults at them, calling them traitors, and made them cry.